California votes this November on Proposition 64, a ballot initiative to legalize recreational use of cannabis. The state has 40 million people, and first year estimates of revenue are coming it at a whopping $30 - $36 billion. So far the polls are trending 60% in favor of legalization so the country might soon be at a tipping point on this issue, especially as Canada, our neighbor to the north, is enacting federal legalization in 2017 as well. In other words, the new world of weed is about so much more than getting high. It’s about science, the chemistry of emotions, politics, criminal justice, entrepreneurship, and, of course, a lot of money. I spent three years touring the world to research the book. It has shown me how politics have intentionally clouded research in the US, but how a dedicated group of biochemists and organic chemists in Israel (and Europe) have led the charge to understand the Endocannabinoid System, the largest receptor system in the body, and how to discover the ways it interacts with every disease state known to humans. I’ve also met researchers who are now rushing to isolate some of the compounds within the plant to create an entirely new range of neutraceuticals to treat specific illnesses and foster wellness. It’s fascinating and it’s based on evidence, not myth. And it’s happening in spite of prohibition. Your company wants to improve employee satisfaction, create higher employee engagement, increase productivity, and further develop skills so personnel can transfer internally to fill job openings. A structured and formal mentor program, supported by the highest level of management, addresses all of these goals. By working with your executive team, Joe Dolce Communications helps your company launch a mentor program that’s tailored to your needs. The results will be staggering. Within one year, you will see employee engagement increase, your company will become more attractive to the most talented employees within your organization and you’ll increase your ability to attract stars from the industry. How many times do you wait in an interminable line for services that should be straightforward to provide? Any business with clients, employees, and processes can be improved, whether it’s a financial institution, a medical practice, or a restaurant. The beauty of implementing a study to improve business efficiency is that management and employees can align towards the same goal — working smarter, not harder. The first step is identifying those process interfaces that need to be altered or eliminated. Once those changes are made, watch your client satisfaction soars and revenues rise. Another benefit? Employee engagement increases, creating a place where customers prefer to bring their business. Joe Dolce’s career has been based upon transformation and communication. He was a key player at Details magazine, first as a Senior Editor and then as editor-in-chief. Under his leadership Details won two National Magazine Award nominations. Joe went on to co-found the first web-based fashion news service, FashionWireDaily.com, and after that, was handpicked by the editorial director of American Media, to transform Star from supermarket tabloid into a glossy magazine as editor-in-chief. 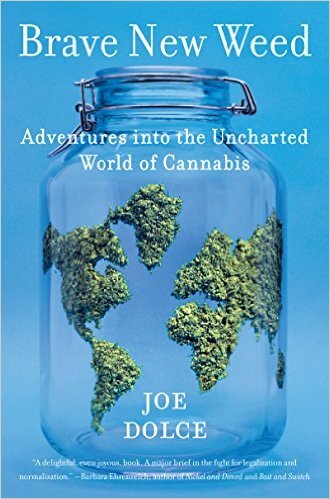 He is the author of the new book, Brave New Weed: Adventures into the Uncharted World of Cannabis. Joe has also written for dozens of national magazines and interviewed leaders in business, media, the arts and sciences – Hugh Hefner, Barry Diller, Dr. Andrew Weil, Julia Child, Dr. Antonio Damasio, to name but a few. This enables him to predict with uncanny reliability the questions you’ll encounter when facing the camera. 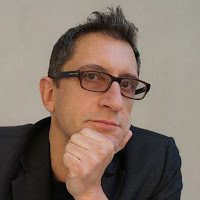 Joe has also worked on the other side of the fence, as a Public Relations Consultant, constructing effective campaigns for technology companies, health professionals, media companies, architecture firms, celebrities, scientists, authors, and non-profits. He knows that reporters are rarely concerned with how their stories will affect you or your business. This is why the more you control your interview the better you can ensure that your message will be heard. PR & communication expert, former Editor-in-Chief of Details< & Star, & author of Brave New Weed.